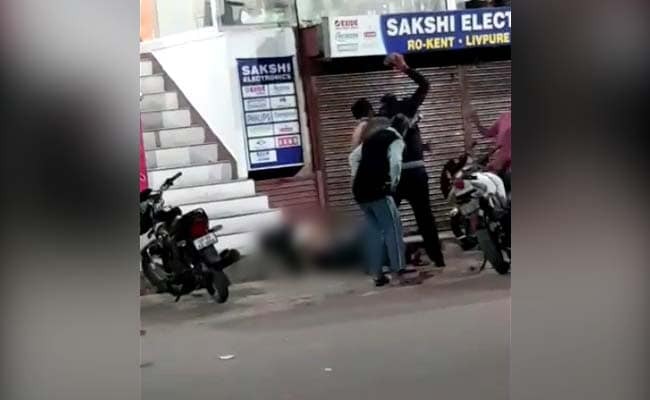 Dileep Saroj, a second-year law yesterday succumbed to injuries, two days after he was thrashed with sticks and batons by a group following an altercation outside a restaurant in Allahabad. Lucknow: The Uttar Pradesh Legislative Council today witnessed noisy scenes over the death of a 22-year-old Dalit student in Allahabad and a report in a local Hindi newspaper over the chief minister allegedly linking "samajwad to atankwad". Both the issues were raised by Samajwadi Party members in the House. Leader of Opposition and Samajwadi Party member Ahmed Hasan raised the incident as soon as the Question Hour started. He alleged that though such incidents with Dalits were taking place across the country, the government had remained silent. Referring to a recent dacoity in Lucknow's Kakori area, he said that crime had increased and the law and order system in the state had collapsed. Samajwadi Party members Sunil Singh Sajan, Anand Bhadauria and Rajpal Kashyap raised the issue of the report published in the newspaper, according to which Chief Minister Yogi Adityanath had allegedly linked 'samajwad' (socialism) to 'atankwad' (terrorism) during an event in Lucknow. They marched into the Well of the House demanding the chief minister tender an apology over his alleged jibe on the party. Some SP members also hurled paper balls at the Chair, which were stopped by the Marshals. Chairman Ramesh Yadav had to first adjourn the Question Hour and when the uproar did not subside in the Zero Hour, he adjourned the House for the day. Speaking to reporters, Samajwadi Party Member of the Legilative Coun Sunil Singh Sajan said, "A local Hindi newspaper in Lucknow yesterday published a report, in which the chief minister during a programme held here had allegedly linked Samajwad with 'ataankwad'." "Hence, we want that the chief minister should withdraw his statement, and tender an apology. Otherwise, we will not allow the House to function," he said.